We have released a simple (its our least expensive board yet) Test Board for the Intel 3002 Bit-Slice Processor. 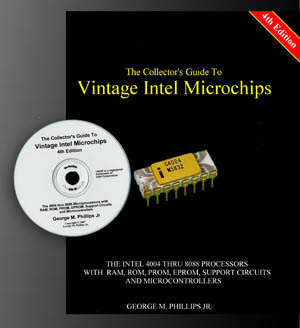 The Intel 3000 bit-slice processor family was introduced in 1973 and were made on a Schottky Bipolar process. The 3002 series was also second sourced by Signetics, Siemens, and Intersil, and clones were made by the USSR and Tesla (Czech). The 3002 CPE is a 2-bit ALU and register file that can perform logical and arithmetic operations, left/right shifting and bit/zero value testing. 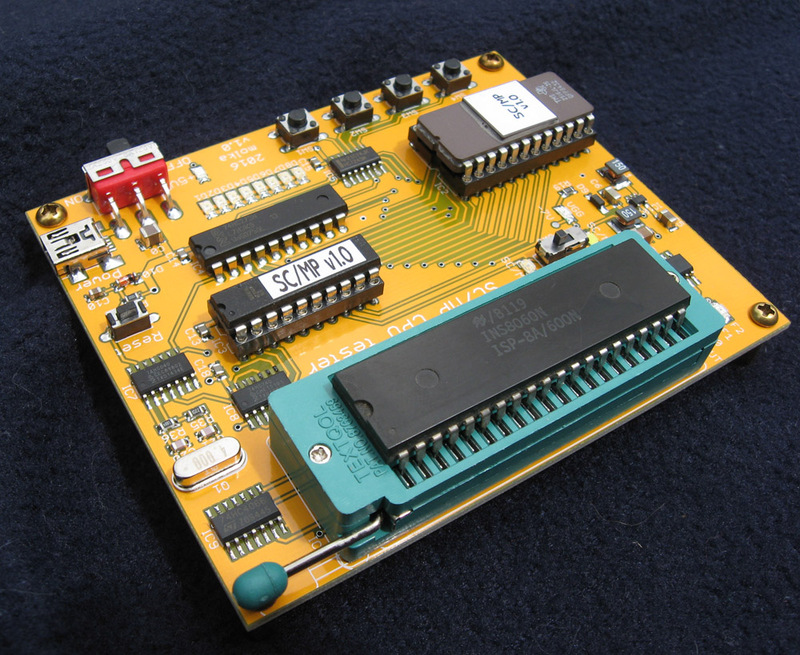 The 3002 also includes 11 registers (R0-R9, T), an accumulator and a Memory Address Register (MAR). 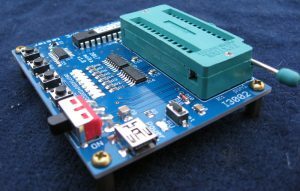 The 3002 CPE elements execute micro instructions generated by the 3001 Microprogram Controller Unit (MCU) based on micro code stored in PROM. Order it on the 3002 test Board page. After several months of development an expansion for the 680x/650x Test system is now available to support the very popular and widely used 6801 and 6803 MCUs. 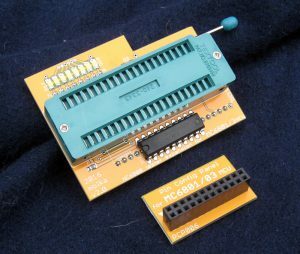 The Motorola 6801 was one of the first (with the 6802) MCU’s that Motorola made based on the MC6800 8-bit processor. It includes RAM/ROM, Serial I/O and timers. 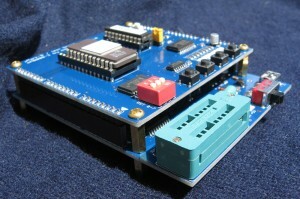 The test board tests the function of the base CPU, the timers/data capture, and the Serial I/O. The MC6803 is a 6801 without the built-in ROM and with less I/O. 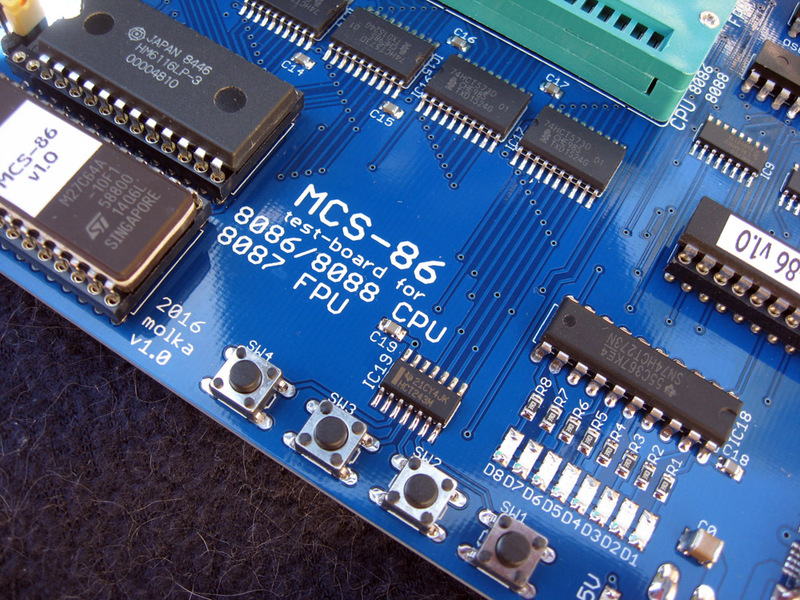 Intel MCS-86 Test Systems now available. The CPU Shack is pleased to now offer test systems for testing the famous Intel 8086 and 8088 processors. 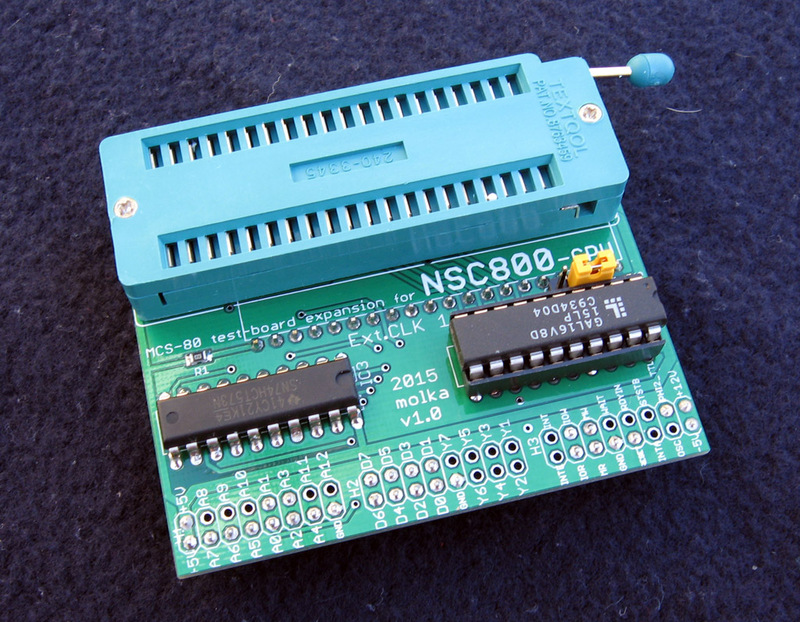 They also support testing of the 8087 FPU, as well as the NEC variants (V20/V30). As an added bonus, an expansion is included for testing the i186/i188 processors as well. Of course the original NMOS, and later CMOS versions are supported from many manufacturers. Head on over to the MCS-86 Test System page for more information and to order your system. 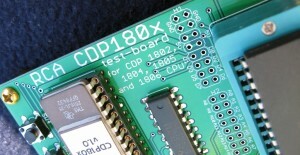 The CPU Shack Museum is pleased to announce the availability of Test Board Systems for the Intel 8008 Processor. This system will allow you to test, as well as design program for, the Intel 8008 8-bit processor as well as its several 2nd sources, including the Siemens SAB8008, the Microsystem International MF8008 and the unlicensed East German MME U808D. The Test System is loosely based on the 1973 MARK 8 computer, one of the very first computers to use the 8008, which was arguably the worlds first 8-bit processor. The Boards are available here for $149 with FREE Shipping Worldwide. 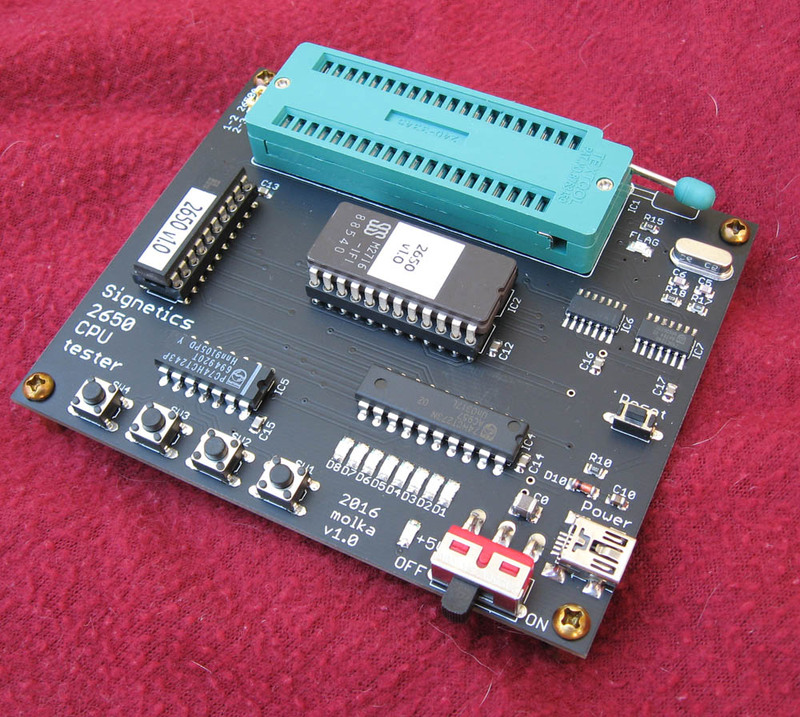 After much delay the 4004/4040 Test Boards are now back in stock. Only 9 of them so if you need one, order away.